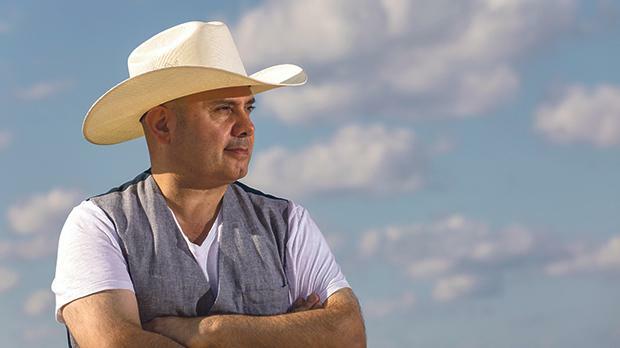 Having been absent from the music scene for the past four years or so, Maltese artist Marty Rivers speaks to Michael Bugeja about country music and Maltese Falcon, his ‘comeback’ album, which has practically already reinstated him as a firm favourite in international country circles. It’s not every day that a local artist gets to top an international chart, but that is exactly what Marty Rivers did in the first week of the New Year with his single Why Don’t You. The first radio single to be lifted off Rivers’s latest album Maltese Falcon, the song – released on both Glory Train and Hot Disc records – topped the Ramgatie Top 40 chart in its first week of release and, at the time of writing, that same song is sitting comfortably at number one in the European Academy of Country Music chart. This is not the first time the Maltese artist’s songs have got to the top spot of international country music charts either, but given that he had been on an extended sabbatical until last year, shooting to the top of the charts with his first release in years is an achievement in itself. As Rivers explains, “in the time I’d been away from the scene, a lot of new talent has been attracting the attention of the industry movers, so there’s more music out there to compete with now”. But surely his past output and achievements must have helped his latest offering get noticed, perhaps all the more given his absence? He agrees, in part at least, but reminds me that “while there are several veteran country radio hosts, there are also a lot of new, younger presenters hosting country radio shows around the world now, many of whom may not even know of me or my past work”. Indeed, bearing this in mind, his chart-topping success seems all the more admirable, to which I add that, if his latest material has struck a chord with this new generation of presenters, they will most likely look forward to discovering Rivers’s previous releases. One thing that I feel has not changed over the years, is the lack of country music artists populating the thriving local music scene. “There are other local artists in the genre, though not that many,” Rivers assures me, “but they are mainly performing artists focusing on covers”. In actual fact, he is almost certainly the only Maltese country artist to have released so many albums – four including Maltese Falcon – all featuring original compositions. His subtle nod of agreement leads me to think that, while he is flattered by my remark, he probably wishes there were more local country artists working on original material. At this point, I ask Rivers if he thinks there still is a strong country fan base on the island. “I’d like to think so,” he replies. “In the years since the line-dancing sensation surfaced, it’s difficult to determine whether the people turn up because they love dancing or because they love country music. Hopefully it’s both”. Of course, not all the local venues offering country music have dance floors to accommodate line-dancing, which must give a better idea of its popularity. “What I really find fascinating” he continues, “is having young people who are into rock, metal or indie music turn up at my gigs”. I remark that in recent years, it has become rather common that people have a wider, and quite diverse musical preference. Most likely, it is how each genre keeps itself alive in the face of changing trends. Rivers says he understands my point but, being a staunch ‘roots’ supporter, he firmly points out that “there is a limit to how much country music can dilute itself and still expect to be categorised as country”. He specifies that there is too much pop music trying to pass itself as country these past few years. “If an artist wants to make it big in pop music, that’s fine by me, but don’t call yourself a country artist”. The conversation turns to Maltese Falcon, the album that marks his return to the music world. Written, as has been the case with all his previous albums, in collaboration with Joe Spiteri, the album features 14 tracks that infuse elements of music that have shaped his life. “My music is country at its core, that is where I feel most comfortable,” he explains. “However, as I was growing up, I explored other genres, such as rock, blues, folk and Latin, and their influence can be felt in different places all over the record”. As he has done in his previous two albums, Out of the Blue and Midnight Sky, Rivers worked with some of the best session musicians in Nashville and producer Gary Carter. “Apart from the chemistry that exists between us, Gary is the Grand Ole Opry band leader, an excellent steel guitarist and dobro player in his own right and has an endless network of connections around Nashville, which is an essential asset to every country artist”. Rivers mentions an instance where they needed a trumpet player for a track on the album, but had to wait a while as there aren’t many in Nashville. “Eventually Gary called me to say he had found a trumpet player – none other than Snarky Puppy’s Jay Jennings, so it was worth the wait”, he laughs. An ambitious and diverse collection of original songs inspired mainly by personal experiences, Maltese Falcon also features what Rivers refers to as the ‘wreck’ trilogy. “Stormy Waters is about a shipwreck, St Paul’s shipwreck in fact” Rivers explains. “Then there’s February of ’59, which is a tribute to Buddy Holly, Richie Valens and the Big Bopper, who had died when their plane crashed, and last but not least, Silver Train, which is about a train wreck”. This may reflect a bit of a dark side to the album, but the closing track Love is a wonder is more uplifting, celebrating true love as an eternal and precious gift. All in all, it looks set to consolidate Rivers’s position as Malta’s leading country export and established international artist.